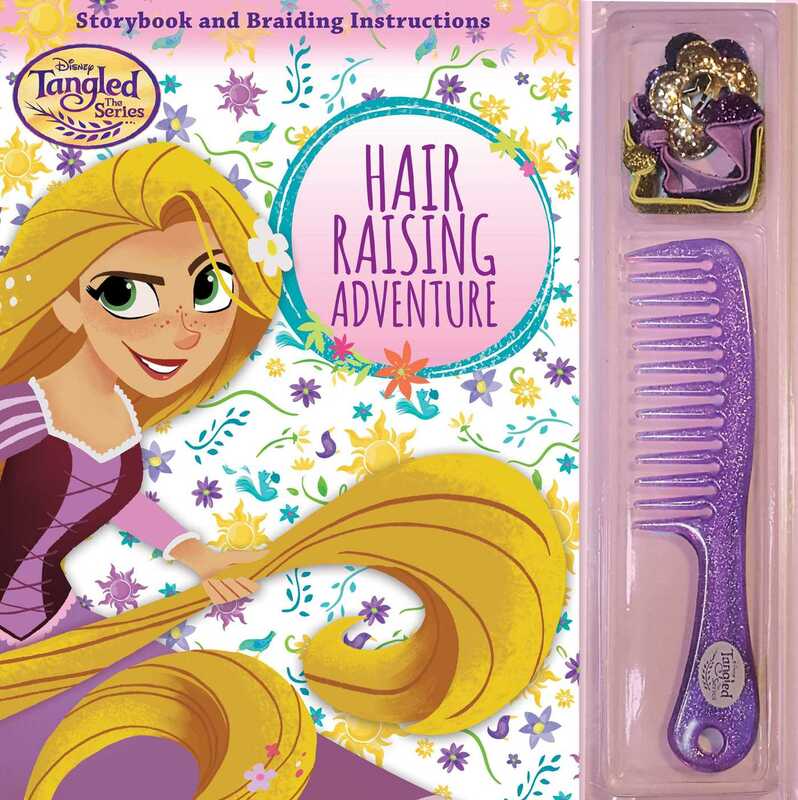 Learn how to tame your mane from an expert with Rapunzel's storybook with comb and hair-braiding instructions! Since Rapunzel was freed from her tower, she’s not only new to being a princess, she’s new to understanding friendship, too. When Rapunzel learns that Uncle Monty doesn’t like all of her royal rulings, she sets her mind to making him a friend, any way she can. When you’ve finished reading about Rapunzel’s hair-raising adventure in friendship, use the included Tangled comb and hair accessories and follow the two braiding instructions to do your own Tangled ‘do—just like Rapunzel!